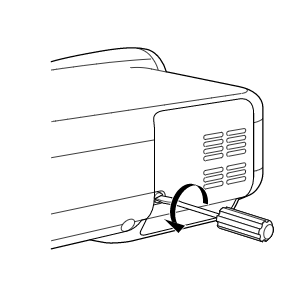 After your NEC LT260 projector lamp has been operating for 1500 hours (2000 hours in Eco mode) or longer, the “Lamp” indicator in the cabinet will blink red and an onscreen message will appear. Replace the NEC LT260 projector lamp immediately as it will go into stand by mode after 1600 hours (2100 hours in Eco mode) of service. Why go authentic? Counterfeit “compatible” lamps may appear to be a bargain but in the long run end up costing more due to their shorter lamp life. They are prone to explosions and can put your eyesight at risk. Due to their substitute toxic materials and carcinogenic parts, the few dollars you will save are not worth it. 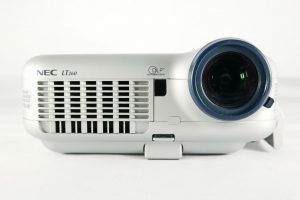 The NEC LT260 uses the NEC LT60LPK replacement projector lamp. Keep your projector working properly by investing in an OEM lamp. unplug the projector from its power source. wait until the projector is cool to the touch to avoid getting burned. Loosen the lamp cover screw. It is not removeable so you will know it’s fully loose when the screwdriver goes into a freewheeling condition. Remove the lamp cover. Loosen the two screws keeping the NEC LT60LPK lamp housing secure. These screws are also non-removeable so you will know when they have been loosened when the screwdriver stars freewheeling. Remove the NEC LT60LPK lamp by pulling out the handle. 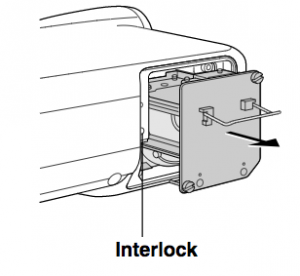 NOTE: There is an interlock on this case to prevent the risk of electrical shock. Do not attempt to circumvent this interlock. NOTE: Your should NEC LT60LP lamp contains mercury and should be properly recycled. Install a new NEC LT60LP lamp into NEC LT260 projector making sure to line up interlock correctly. Tighten the screw on the projector lamp. Replace the lamp cover and tighten the screws on the cover. You are now ready to reset the lamp timer. Plug in the power cored into the wall outlet. 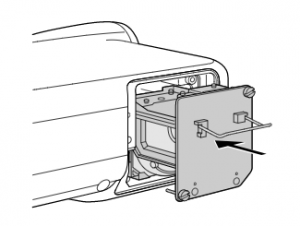 Learn more tips to extend the life of the NEC LT260 projector lamp.